The Doctors practice multiple techniques. They are customized for each individual, treating patients of ALL ages, infants to seniors. 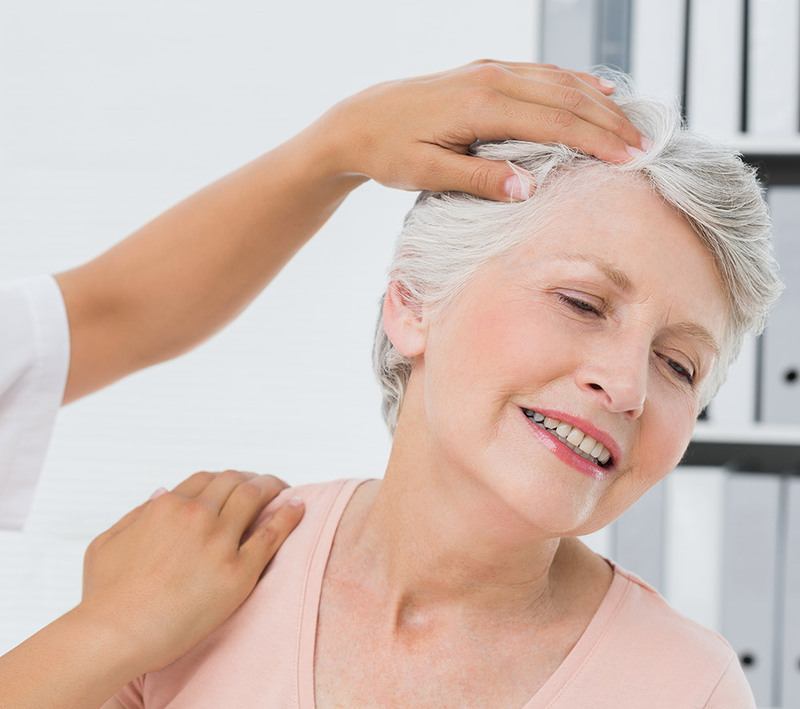 The term "adjustment" refers to the specific manipulation applied to the vertebrae that have abnormal movement patterns or fail to function normally. It reduces the subluxation, which results in an increased range of motion, reduced nerve irritability and improved function. The adjustment consists of a high velocity, short lever arm thrust applied to a vertebra, which is often accompanied by an audible release of gas. The sound is caused by the release of oxygen, nitrogen, and carbon dioxide, which releases joint pressure. The sensation is usually relieving, though minor discomfort has been reported (that usually lasts for only a short time duration) if the surrounding muscles are in spasm or the patient tenses up during the chiropractic procedure. Decompression is a treatment that relieves patients of their back pain by re-establishing functional capacity and decompressing the sensitive nerve fibers WITHOUT SURGERY. The FDA cleared technology is a 20-30 minute treatment followed by or in collaboration with ultrasound or electric stimulation. The term cold laser refers to the use of low-intensity or low levels of laser light. 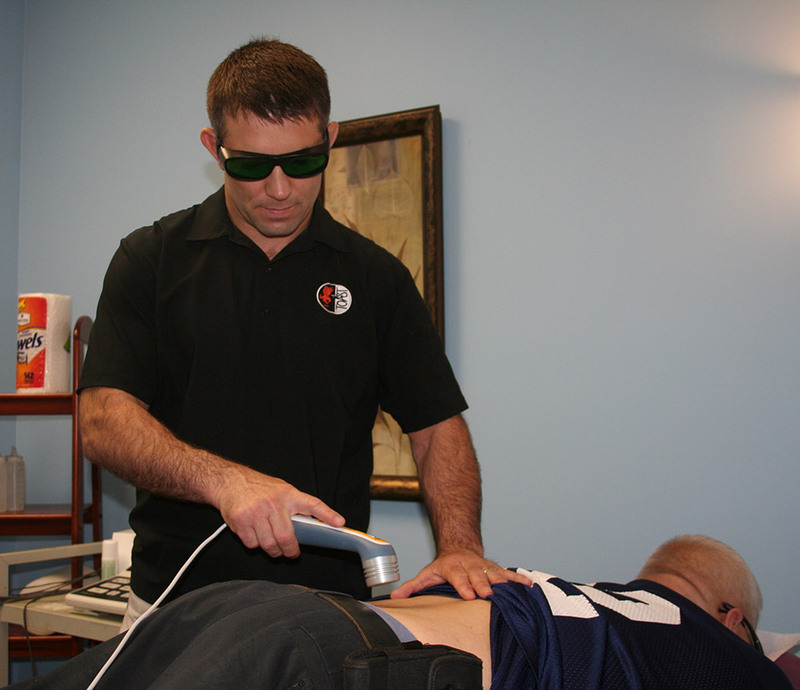 Low Level Laser is being used to treat a variety of painful and inflamed conditions of the soft tissues and joints. It's also sometimes used for acupuncture, using laser beams to stimulate the body's acupoints rather than needles. The therapy is painless and totally non-invasive. Take The Rehab Challenge! ARE YOU UP FOR IT? The Rehab Challenge is an 8 week program designed to kick-start a healthy lifestyle. Your Individualized Challenge Program will increase energy, build strength, and create better balance & stamina. Watch your quality of life soar and your body change into the healthy ‘YOU’ that you desire. Ask about which product is best for you! Our facilities are equipped with state-of-the-art X-ray equipment. We utilize X-rays as a diagnostic tool to aid in the diagnosis and to treat for musculoskeletal conditions. Myofascial release, Swedish Massage, Deep tissue, Trigger point therapy, muscle release technique, and PNF stretching. Half hour or full hour massage therapy available from a certified, licensed massage therapist.